The rumor mill has been in overdrive these past few weeks about Christian Pulisic’s future, and today we got official confirmation of a move that still feels a little shocking: Premier League giants Chelsea have purchased the artist formally known as America’s Wonderteen from Borussia Dortmund for a whopping €64 million (nearly $73 million). 2018 had to be the worst year in Pulisic’s young but still impossibly promising career. He had to watch what should’ve been his breakout international tournament, the 2018 World Cup, from home, thanks to his and his teammates’ historically awful botch job during the qualification process. Things weren’t much better on the club front, as his progression as a player seemed to stall somewhat worryingly all year to the point where today he is no longer a certain starter for BVB and has seen his place as the club’s brightest young starlet completely eclipsed by a new English Wonderteen, Jadon Sancho. 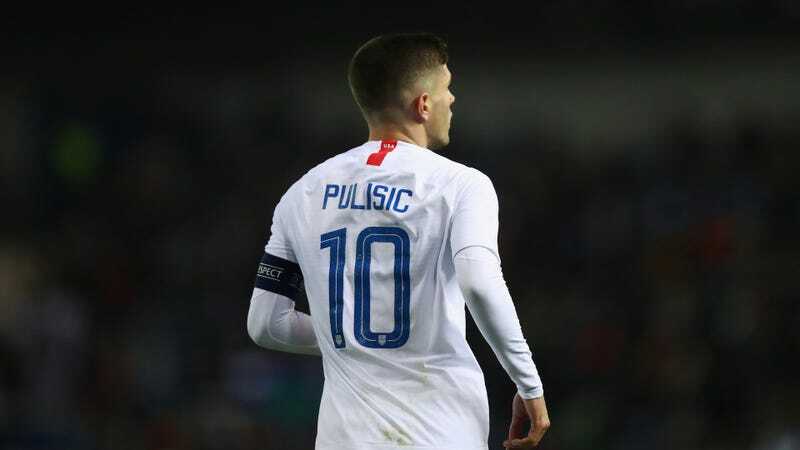 All the talk surrounding Pulisic prior to 2018 focused on how insanely good the teenager already was for his age, and how that present goodness made his future potential truly stratospheric; last year was the first time real and justified doubts about how good Pulisic was and could be started creeping into the conversation. But if 2018 was a disappointment, 2019 couldn’t have gotten off to much better of a start. An enormous transfer—and the presumably fat contract that comes with it—to one of the biggest clubs in the biggest league in the world has to be a dream come true. There will be time enough to assess this transfer on its merits, to debate the price and the timing and the potential for a happy marriage between the team and its newest player. For now, though, it’s worth just basking in the simple pleasure of seeing an American player go for a crazy amount of money (Pulisic’s fee is the 25th highest transfer ever paid, and dwarfs the previous high for an American player, which had been €20 million for John Brooks) and be the talk of the soccer world. Chelsea paid €64 million for one of ours. I still haven’t stopped smiling.